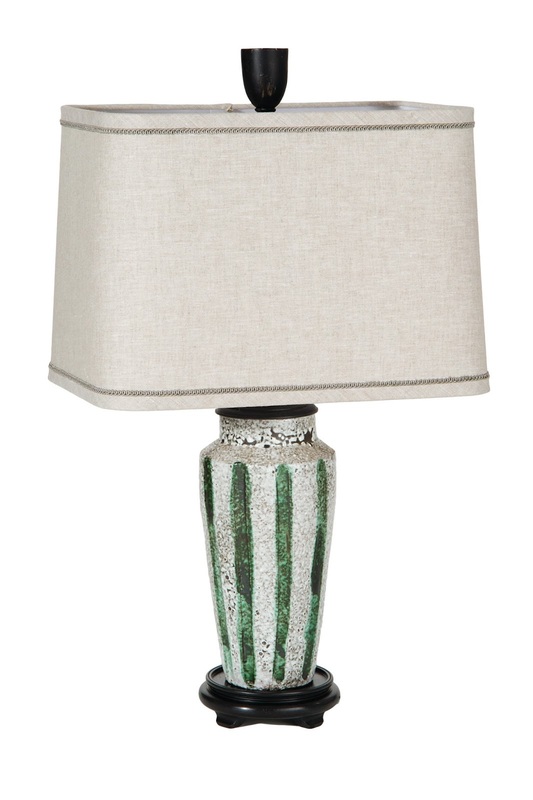 Lamp Parts and Repair | Lamp Doctor: What Is A Lamp Finial? 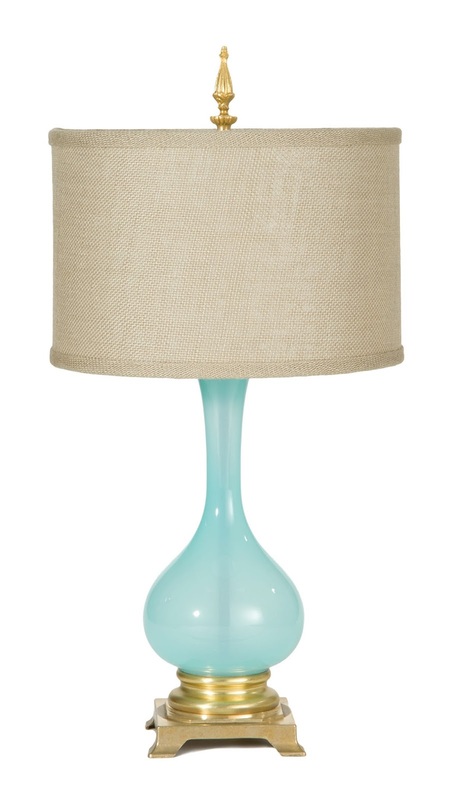 What Is A Lamp Finial? Lamp finials set on top of a lamp harp and hold a washer fitter shade to the top of a lamp. Any specialty lamp shops often offer a variety of unique lamp finials. 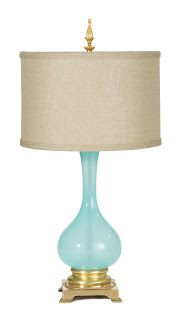 It is an easy way to change the look of a lamp or give it a little more flair. They are often decorative or ornamental but can also be plain. 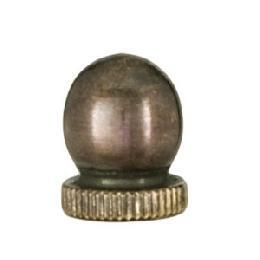 A large finial would be 4 inches and a small finial would be about 1/2 inch. Finials screw on the top of a lamp harp. Most all finials are tapped 1/4-27F thread just like the top of a lamp finial. 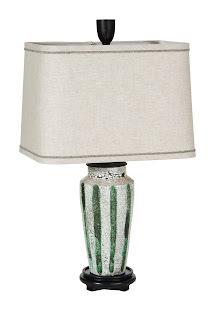 Some specialty lamps have a cluster and their finial could be a 1/8IP or 1/4-27F tapped thread. 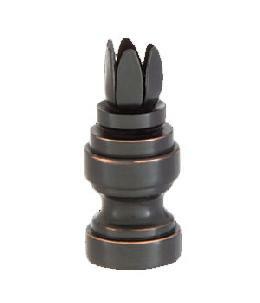 Finials are made from a variety of materials. 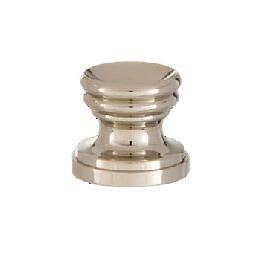 Most finials are cast metals like steel and brass. Other finials might be made from resin, wood, and acrylic. 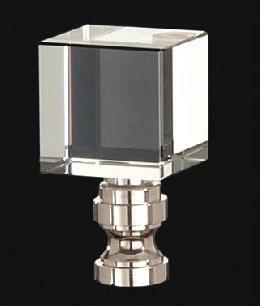 Sometimes finials have multiple materials like when a glass prism sets on a metal base. Using a finial base, you can make a custom finial out of almost anything. Next time you are looking at your decor with contempt consider easy changes like new lamp shades or a different lamp finial. What Is A Lamp Harp?